Definition at line 29 of file CQDifferentialEquations.h. Definition at line 51 of file CQDifferentialEquations.cpp. 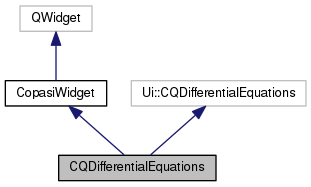 Definition at line 70 of file CQDifferentialEquations.cpp. Definition at line 144 of file CQDifferentialEquations.cpp. Definition at line 75 of file CQDifferentialEquations.cpp. Definition at line 150 of file CQDifferentialEquations.cpp. Definition at line 80 of file CQDifferentialEquations.cpp. References CLocaleString::fromUtf8(), mml, and TO_UTF8. Definition at line 169 of file CQDifferentialEquations.cpp. Definition at line 153 of file CQDifferentialEquations.cpp. References CMathMLToTeX::convert(), FROM_UTF8, CLocaleString::fromUtf8(), mml, and TO_UTF8. Definition at line 187 of file CQDifferentialEquations.cpp. References C_INT32, checkSelection(), CopasiFileDialog::getSaveFileName(), saveMML(), savePNG(), and saveTeX(). Definition at line 96 of file CQDifferentialEquations.cpp. References FROM_UTF8, CCopasiRootContainer::getDatamodelList(), mml, and CMMLOutput::writeDifferentialEquations(). Definition at line 42 of file CQDifferentialEquations.h. 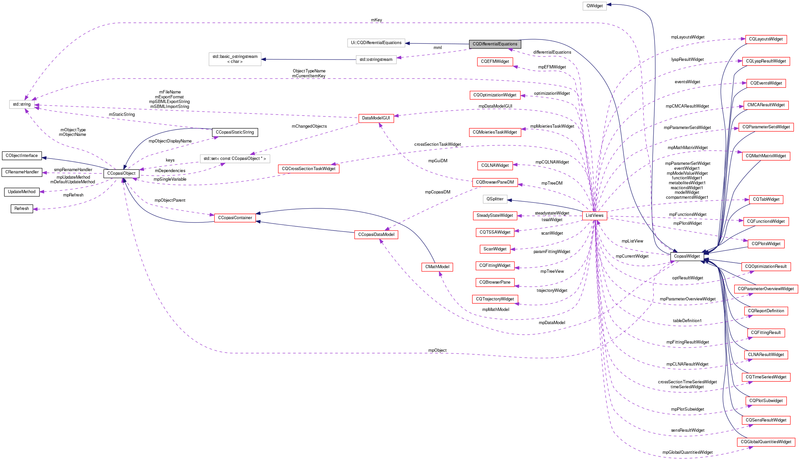 Referenced by saveMML(), savePNG(), saveTeX(), and slotUpdateWidget().